It was a great day yesterday in Tullow with Longford earning a great four try bonus point win to move back into second place in the league. Longford have two more matches in the league to play, a home fixture against champions elect, Suttonians on February 17th and an away match versus bottom placed, North Kildare on March 3rd. However, the Late XVs next match is an exciting second round fixture away to Boyne on Sunday February 10th. It will be a tough match as Boyne ply their trade in Division 1A but one Longford will be going into with a lot of confidence after a great performance in the league so far and a moral boosting win against Tullow. Attention this week turns to Longford’s Early XV who play in the first round of the Provincial Towns Seconds Cup away to Athy at 3 PM. 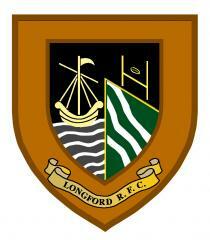 Longford’s Early XV is a youthful side comprising many players from last years highly successful U18 side. They have scored some good wins in the league and have played some great rugby at times. They will be travelling to Athy in a quietly confident mood. However, they know they need to train hard this week as there is a number of work-ons from the Tullow game and travelling away in the cup is never something that can be taken for granted. Your support in Athy on Sunday would be appreciated. The Women had a day to forget in Portlaoise. It was one of those matches where no matter how hard they tried, just did not work on the day. However, there are still two more league matches and the Cup to look forward to for what is a developing side. A match report from the game will be published tomorrow. Ryan D'Arcy 5 (3), Oisin Gallagher 4, Leo Temple 3, Ciaran Flaherty 2 & Adam Reen 1 (1). Areas to improve will be tackling/ structure of attacking and defensive line. Out next game is away to Wicklow in the Metro League. It was an extra special win as we only had 13 players available for the match. Longford Under 13's had their first competitive match of the season on Saturday when they made the 3 hour journey down to Carlow. There was heavy rain on the way down but thankfully the rain cleared just as the match was about to kick off. Unfortunately, Longford fumbled the ball right from the start and Carlow went in to score in the corner. Longford regrouped and defended well, but Carlow were good at recycling the ball and with that amount of procession they went in to score another two tries before half time. Longford improved in the second half but tired towards the end after taking some heavy knocks and with Carlow's fresh legs being sprung from the bench, they went in to score another 2 tries. So, Longford lost 29 - 0 and Carlow go on to meet Gorey while Longford await the draw for the plate competition. We would like to thank all who travelled especially the parents and families to see the lads putting in so much effort and not to have at least been rewarded with a try. There was some great tackles put in and good ball carrying, but we need to be quicker in support. But this will come in time as the lads get used to playing with each other. A special mention to Diarmuid Glennon who having started on the bench, had to come in and cover 2-3 positions during the game, so it showed how important the bench is. We would like to wish Carlow well in the next round and thank them for the refreshments afterwards. Our next game is in the Leinster League next Saturday. TEAM: Sean Molihan, Ciaran Heffernan, Killian Mc Givney, Daniel Galvin, Jack O'Hara Rian Browne, Olan Bracken, James Grehan, Cahal O'Hara, Conor Mulligan, Jack Mc Weeney, Dylan Vance, Jack Reilly, Alex Forde, Rian Macken, Diarmuid Glennon. Our U11 and U12 teams headed to Mullingar on a chilly Saturday morning for the latest round of games in the Midlands Blitz series. Both squads joined together for the warm up to keep the bitter cold at bay beforehand. Our U12’s took on West Offaly Lions from Ferbane in the first meeting of the two sides. Both teams were well balanced with the Lions having more power in their pack. What we lacked in bulk and strength we made up for in clever play and application of our drills work from recent training sessions. The game was very even and out boys won out in the end five tries to four. The winning Try was a well taken effort by Tadgh McCauley who drove over for his first match day try. His efforts in training and recent matches is notable and this vital score is just reward for those efforts. Our next game was against Mullingar. This was a very one sided affair. The Longford team worked good as a unit, with good work from Darragh Nash, Danny Kenny, Shane McGuigan, Mitch Clarke and Sean Ginty at breakdowns. Quick ball off the back of rucks and good work passing through the hands from Derek Belton, Donnacha Golden and Tom Murray was essential in creating the overlaps and opportunities. One thing for us to work on is to push on with ball in hand and make more ground in attack. Ryan Spollen driving on directly at the opposition and offloading created a lovely try for Jamie Donohue. We continued to push hard with some excellent attack running resulting with tries from Harry Byrne, Jamie Donohue, Daniel Corr, Senan Murphy and none other than Tadgh McCauley who again drove hard at the defence with the support of Sean Ginty and James Cosgrove. The Mullingar lads really had no answer to the effort the Longford boys brought to the game. All in all it was a proud day for the team, parents and coaches. The team performance today was excellent all round and no more than this great bunch deserved. Back for training on Thursday and next Saturday we are away to Carrick on Shannon. Longford U12 team: Shane McGuigan, Tadgh McCauley, Sean Ginty, James Cosgrove, Danny Kelly, Daniel Corr, Derek Belton, Donnacha Golden, Mitch Clarke, Ryan Spollen, Harry Byrne, Tom Murray, Senan Murphy, Darragh Nash, Jamie Donohue. Tadgh McCauley who scored two tries for the U12s.